On May 18, 2016, President Obama announced the publication of the Department of Labor's final rule updating the overtime regulations, which will automatically extend overtime pay protections to over 4 million workers within the first year of implementation. This long-awaited update will result in a meaningful boost to many workers' wallets, and will go a long way toward realizing President Obama's commitment to ensuring every worker is compensated fairly for their hard work. Establishes a mechanism for automatically updating the salary and compensation levels every three years to maintain the levels at the above percentiles and to ensure that they continue to provide useful and effective tests for exemption. Additionally, the Final Rule amends the salary basis test to allow employers to use nondiscretionary bonuses and incentive payments (including commissions) to satisfy up to 10 percent of the new standard salary level. The Internal Revenue Service’s Large Business and International Division has approved five new compliance campaigns in several areas including specific areas related to S corporations. The LB&I Division has been moving toward issue-based examinations and a compliance campaign process in which it decides which compliance issues present enough of a risk to require a response in the form of one or multiple treatment streams to achieve tax compliance objectives. The five new campaigns were identified through data analysis and suggestions from IRS employees. The goal is to improve return selection, identify issues representing a risk of non-compliance, and make the best use of the division’s limited resources. When an S corporation fails to report gain upon the distribution of appreciated property to a shareholder. When a shareholder fails to report non-dividend distributions in excess of their stock basis that are subject to taxation. For this campaign, the IRS plans to conduct issue-based examinations, suggest changes to tax forms, and conduct stakeholder outreach. As part of the campaign, any examinations that result from this campaign will probably touch upon other S corporation related issues including the methods S corporations use to determine reasonable compensation and its impact on potential under-reported FICA taxes. There are new rules which the US Congress passed in December 2017 that change the way the IRS treats cryptocurrency. Before the US Congress put forth a clearer ruling in 2017, the classification category of cryptocurrency assets was up for interpretation according to many tax experts. That’s because many cryptocurrency miners and traders treated cryptocurrency similar to real-estate for tax purposes by citing the like-kind exchange rules of IRS Code Section 1031. Following this ruling a miner could theoretically trade a mined cryptocurrency for another cryptocurrency without having to pay taxes. With 1031 exchanges limited to real estate transactions under the recent tax act this treatment is now out the window. Now anyone with cryptocurrency mining operations in 2018 will have to pay taxes beginning in 2019. There are a couple of things to consider when paying taxes for cryptocurrency mining. You have two different income streams to consider. The first taxable event occurs whenever a miner mines a new coin. The IRS considers this to be income even if the miner decides to only hold the coins as “inventory”. When you mine the coins, you have income on the day the coin is "created" in your account at that day's exchange value. If you are reporting activity as an individual taxpayer, you can report the income as a hobby or as self-employment. If you report as a hobby, you include the value of the coins as "other income" on line 21 of form 1040. Your ability to deduct any expenses is limited -- expenses are itemized deductions subject to the 2% rule. If you report as self-employment income (you are doing work with the intent of earning a profit) then you report the income on schedule C. You can fully deduct your expenses. The net profit is subject to income tax and self-employment tax. Similar treatment occurs if you operate as a multi-member LLC except that the transactions are reported on the LLC’s tax return with the individual members having their shares of the net profits or losses reported on individual K-1s. Your second income stream comes when you actually sell the coins to someone else for dollars or other currency. Then you have a capital gain or a capital loss. Finally, if you immediately sell the coins for cash, then you only have income from the creation and you don't also have a capital gain or loss. Now, as far as expenses are concerned, if you are doing this as a business, you can take an expense deduction for computer equipment you buy (as depreciation) and your other expenses (for example electricity and other business expenses). But if you are doing this as a home-based business you need to be able to prove those expenses, such as with a separate electric meter or at least having your computer equipment plugged into a portable electric meter so you can tell how much of your electric bill was used in your business. Unless your expenses are very high, they won't offset the extra self-employment tax, so you will probably pay less tax if you report the income as hobby income and forget about the expenses. The U.S. Supreme Court, in a 5-4 decision, has held that states can assert nexus for sales and use tax purposes without requiring a seller’s physical presence in the state, thereby granting states greater power to require out-of-state retailers to collect sales tax on sales to in-state residents. The decision in South Dakota v. Wayfair, Inc., et al overturns prior Supreme Court precedent in the 1992 decision Quill Corp. v. North Dakota which had required retailers to have a physical presence in a state beyond merely shipping goods into a state after an order from an in-state resident before a state could require the seller to collect sales taxes from in-state customers. That was before the surge of online levitra sale, and states have been trying since then to find constitutional ways to collect tax revenue from remote sellers into their state. The Court noted: “When the day-to-day functions of marketing and distribution in the modern economy are considered, it is all the more evident that the physical presence rule is artificial in its entirety”. The Court also rejected arguments that the physical presence test aids interstate commerce by preventing states from imposing burdensome taxes or tax collection obligations on small or startup businesses. The Court concluded that South Dakota’s tax collection plan was designed to avoid burdening small businesses and that there would be other means of protecting these businesses than upholding Quill. In his dissenting opinion, Chief Justice John Roberts argued that, although he agreed that the enormous growth in internet commerce in the interim years has changed the economy greatly, Congress was the correct branch of government to establish tax rules for this new economy. He also took issue with the majority’s conclusion that the burden on small businesses would be minimal. Prior to the decision, many states had already begun planning for the possible overturn of Quill. Congress may now decide to move ahead with legislation on this issue to provide a national standard for online sales and use tax collection, such as the Remote Transactions Parity Act or Marketplace Fairness Act, or a proposal by Rep. Bob Goodlatte, R-Va., that would make the sales tax a business obligation rather than a consumer obligation. Under that proposal, sales tax would be collected based on the tax rate where the company is located but would be remitted to the jurisdiction where the customer is located. The Qualified Business Income Deduction section of the Tax Cuts and Jobs Act included a new deduction meant for S corps, LLCs, partnerships and sole proprietorships (commonly referred to as pass-through entities). The deduction is calculated at 20% of the trade/business income of these entities. There are limitations based on owner’s taxable income, W-2 salaries of the business, assets in the business and whether or not the business is a service or non-service entity. Accordingly, not all pass-through entities will qualify for the 20% deduction. The Tax Cuts and Jobs Act has also dropped the C corporation tax rate to 21% and a lot of questions have arisen from closely held business owners about converting their limited liability company (LLC) or S corporation (S corp) to a C corporation (C corp) including questions from the owners of entities that don't qualify for the 20% deduction. Does it make sense to switch to or start a C corp? The answer is not that simple. Much depends on your business and the business model you operate under. While the federal tax rate for C corps has dropped favorably to a flat 21%, there are still limitations to a C corp’s tax structure. C corps are subject to double tax. When a C corp issues dividends on their profits, the shareholders receiving the dividends are then taxed on their personal tax return, while the C corp receives no deductions for these payments. Whereas, if you are structured as an LLC or an S corp, you are taxed on the net taxable income that flows through to the owner’s individual tax return and you can distribute the funds out of your company, without double tax. If the goal of the business is to reinvest the earnings back into the company, C corps are a favorable option to take advantage of the lower tax rates. As a practical matter, for current operations, closely held C corporations do not normally pay dividends. Owners in these entities are often active in the business and draw a salary. The corporation gets a deduction for the salaries, but owners receiving the salary pay federal tax on that salary at a rate as high as 37%. Upon exiting a closely held business, the sale of the assets of the business are, normally, the only viable option. Very few buyers will want to buy college essays in a closely held business. If you decide to sell your business as a C corp, income generated from the sale of assets is taxed at the corporate level first and then taxed again when the net cash is distributed out to the shareholders. Also, consider the timing issues when switching to and from a C corporation. Let’s say your business is currently structured as an S corp. You and your shareholders deem your business is better suited as a C corp and you want to convert your organization. It is fairly easy to switch to a C corp. But there is a “buyer beware” with that enterprise. You must wait five years after the switch to a C corp to switch back to an S corp. Once you switch back to an S corp, you could be subject to double taxation on built-in gains (unrealized appreciation on assets held while the entity is a C corporation) for an additional five years after the switch. At a minimum, you will need to live with the possibility of some degree of double taxation for up to ten years. So what is the bottom line on all of this? If you have a business that you plan on keeping fairly small, with fewer than 100 shareholders and located in the U. S, you probably want to be an S corp or an LLC. But if your goal is to reinvest profits back into your business to finance future organic growth then the C corporation is probably a good fit. 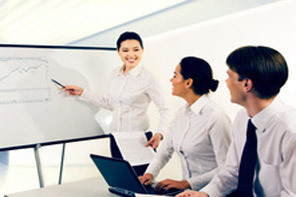 If you have big plans for growing your company to position it for future sale or to go public, you might want the flexibility to take on investors, raise capital, issue different kinds of stock, and invite foreign investors into your business as a C corp.
As always, it is best to consult your advisors before commencing any changes in business structure.